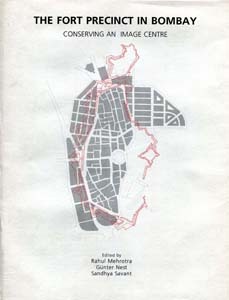 StadtBauwelt 192, 48.11, with contributions by Elisa Bertuzzo, Boris Braun, Partha Das, Keya DasGupta, Günter Nest, Mahbub Rahman, Salma A. Shafi, Christina Zeiske. Berlin: Bauwelt Verlag. For the first time, the metaphor of smooth and striated space, developed by Deleuze/Guattari in A thousand plateaus, is applied to the study of two cities. The experience on the street level, reported in words and in photography, allows to make urban life in its complexity and irreducibility sensible. 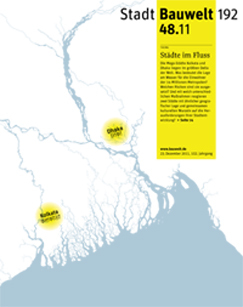 The articles highlight the continuous interplay of planning, appropriation, negotiation and adaptation processes involving politics and urban population in both Dhaka and Berlin. The book furthermore presents a selection of articles from the international seminar “City and Water, Dhaka/Berlin”, in which experts in architecture, urban studies as well as hydrology from Germany and Bangladesh discussed on issues such as different social groups’ access to water bodies, the relationship between water bodies and urban public sphere, water management, equitable architecture as well as architecture on water. Bertuzzo/Islam/Nest/Shafi (eds. ), Smooth and Striated. 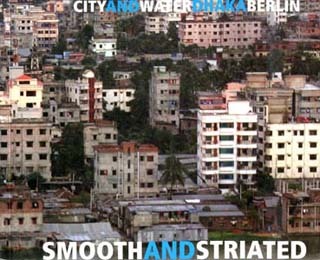 City and Water, Dhaka / Berlin.Berlin/Dhaka: Habitat Forum Berlin/Goethe-Institut Bangladesch 2008. 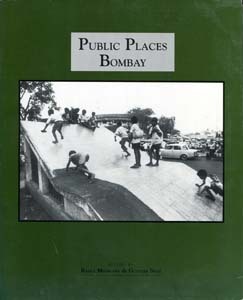 The publication, collecting the proceedings of the seminar „Public Places Bombay“, documents some of the issues discussed during the seminar – from factors enhancing a sense of place to urban ecology – and makes ideas for a long-term preservation of Mumbai’s public places available. Besides exploring alternative directions for a conceptualisation and creation of public places in Mumbai, it provides an understanding of existing public places in India’s megacities valuable for international comparisons. Mehrotra/Nest (eds. ), Public Places in Bombay. Bombay: Max-Mueller Bhavan Bombay 1996. The Fort Precinct occupies a significant position in Mumbai, for it marks the historical origins of the city. Its highly structured form, reinforced by magnificent public buildings, makes it architecturally an important and valuable area also for contemporary Mumbai. This publication presents ideas and strategies which work towards conserving it. In particular, Volume I contains the proceedings of a workshop organised in October 1993 with the aim to stimulate a debat regarding possible conservation strategies. Volume II presents a conservation proposal based on detailed mapping and documentation carried out in the follow-up of the same workshop. Includes a Heritage List for Mumbai. Mehrotra/Nest/Savant (eds. ), The Fort Precinct in Bombay. Bombay: Max-Mueller Bhavan Bombay 1994. In Africa, Asia and South America, but also Europe and North America, small local businesses and informal economic activities relevantly contribute to the functioning and regeneration of cities’ core-areas. This book analyses, with special attention for differing working conditions in the specific countries, the close interrelationship between these two functions – working and living – in such urban areas. The highly productive character of such double-function of neighbourhoods is highlighted and methods for preservation, support and improvement of this mix are discussed. With examples from Mumbai, Caracas, Mexico City, Nairobi, Surabaya, New York and Budapest, this publication delivered one of the first comparative analyses of informal economy and dwelling. Borst/Ernst/Krätke/Nest (Hg. ), Arbeiten und Wohnen in städtischen Quartieren. 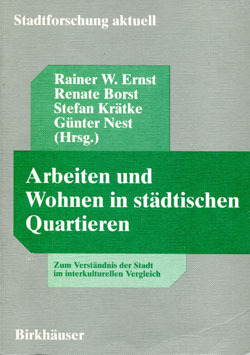 Basel/Boston/Berlin: Birkhäuser Verlag 1993. 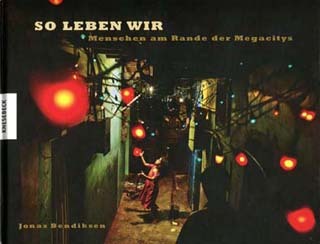 By means of a portray of five cities – Banjul (Gambia), Salvador (Brazil), Surabaya (Indonesia), Aleppo (Syria) and Berlin (Germany) –, this book reflects on the features which, in the last decades, allowed certain cities to thrive in the face of sweeping international modernization and on those which played a decisive role to profile others for their cultural uniqueness. Hereby, the careful observer recognises that the implicit dynamism of cities also shapes life in the „old quarters“. Habitat Forum Berlin, Living in Cities. Berlin: Metropol Verlag Berlin 1990. 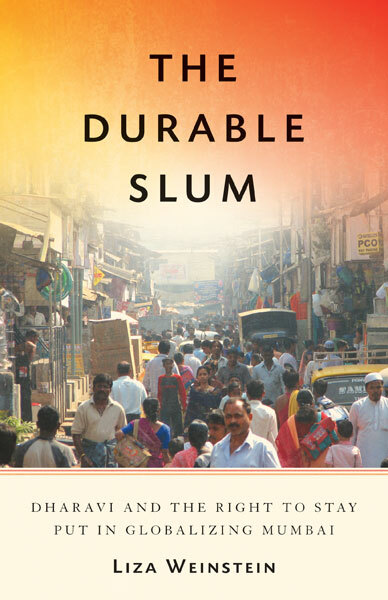 This book describes major breakthroughs in housing made by the poor of Third World countries. Between half and three-quarters of all new homes in most Third World Cities are built by low-income people. The publication documents examples of how people can win their rights to resources for housing and the freedom to act for themselves; how governments can enable people by supporting local initiative; and how essential changes in understanding can come about. The cases present many useful examples of ways and means for locally self-managed home- and neighbourhood building, improvement and management. Hereby, the great variety of programmes illustrated by the case studies highlights a key issue: the common but vain search for replicable programmes to be administered by central authorities. Every successful programme, such that is to match people’s needs and priorities, is uniquely adapted to its place, time and actors. Bertha Turner (ed. ), Building Community. 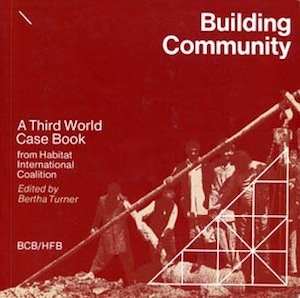 A Third World Case Book from Habitat International Coalition. London: HIC/BCB/HFB 1988. In her well-researched book on Dharavi, Mumbai’s iconic self-organised settlement, Liza Weinstein puts forward the factors that can affirm the right to stay put of the poor in India’s big cities. A special merit of her book is that Weinstein reappraises and relativises the worries, currently spread in Western academia, that the coalitions between elitist politics and business groups will wipe the traditional relays of local democratic accountability away. This concern, though vis-à-vis enforced privatisation and corporatisation of urban institutions justified, focuses the fragile groups of society and how these might be losing scope for resistance to top-down interventions. As Weinstein shows however, in the case of Dharavi – where the professionally, ethnically and religion-wise heterogeneous residents’ communities, along with local politicians and housing activists, were successful in preventing or at least de-routing upgrading projects implying eviction – things can be very different: urban dwellers do entertain far-flung coalitions too, and via these are able to counter corporate strategies. Liza Weinstein, The durable slum. Dharavi and the right to stay put in globalising Mumbai. Minneapolis: University of Minnesota Press 2014. A clear, grounded and critical overview on the human settlements discipline over the last 60 years, its consolidation as a field of practices in the 1970es and its intellectual and practice-oriented evolution until today. The main object of interest is hereby urbanism, whose capacity to integrate a science of and action upon the city comes to the fore in the human settlements practice. In urbanism, the specificity of design connects with non-specific issues such as social exclusion, poverty, unsustainable construction and urban growth. The selection of keystone urbanistic interventions in the 60es-80es exemplifies how different practitioners handled these issues and interpreted this relationship, at the same time delineating changing paradigms in the discipline. The third session presents contemporary approaches to human settlements that contextualise the “lessons learnt” but also mirror the ongoing discussions and different positions in the field. de Meulder/Shannon (eds. 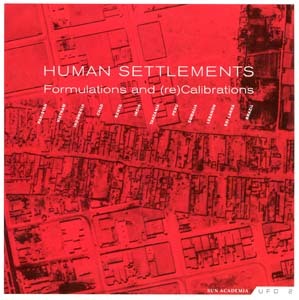 ), Human Settlements: Formulations and (re)Calibrations. UFO series 2, Amsterdam: OSA/SUN architecture Publishers 2010. Led by questions such as “how do people dwell and live in the poorest urban areas of the world, how is their habitation like, of what are they proud and which are the problems they face everyday?”, the MAGNUM photographer Jonas Bendiksen lived for various months in slums of Nairobi, Mumbai, Jakarta and Caracas. In the book documenting a worldwide exhibited installation, his 360° portrays succeed in bringing us into these home spaces and everyday life experiences, described by their inhabitants in short comments. They shed light on everyday hardship and violence, but also on solidarity and functioning social networks. Jonas Bendiksen, The places we live. New York: Aperture 2008. In her intervention into the “Asian Century”, Spivak re-thinks Asia in its political and cultural complexity within debates on the “Global South”, modernity and urbanisation. The collected essays present deep-going reflections e.g. on Afghanistan’s historical and engendered narrative, on de-localisation and diaspora, on the limits of “theory” vis-à-vis everyday hegemonial structures in Bangladesh, on Bangalore’s cyberliteracy , as well as on the turbulent “present” of the Caucasus. With their passionate and irreducible critique of pre-formulated identities, they contribute to a pluralised, non-generalised idea of Asia and set the basis for the development of a “continental pedagogy” that never evades singularity. Gayatri Chakravorty Spivak, Other Asias. Malden/Oxford/Victoria: Blackwell Publishing 2005. Instead of engaging with movement and dislocation, philologists often followed a narrow interpretation of the spatial turn, which led their efforts to “fix”, or determine, emerging literary spaces in a literary cartography. In contrast to this, Ette suggests that vectorisation and fractalisation of literature and the spaces it represents are giving birth to transcultural, translingual and transareal patterns of and for movements. Such emergent type of literature, of “writing-between-worlds”, is produced while moving (physically, mentally, emotionally…); its essential transitoriness eludes any attempt of localisation in a cartographic image. Hence, Ette launches the fascinating challenge to forge a poetic of movement for transareal studies. 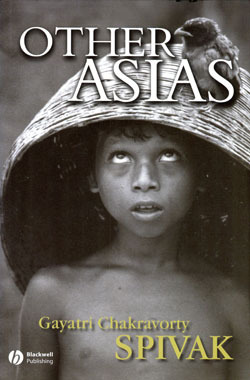 His own search leads him from Ulysses’ return in a foreign homeland to the Shoah narrative, from a digression on translation to the issue of writing in a language other than the mother-tongue, from the multilingual world of the Caribbean islands to the relationship between Arabic and American literatures. 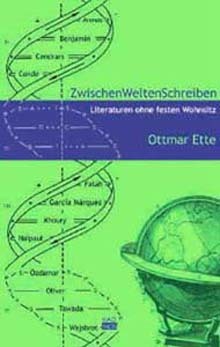 Ottmar Ette, ZwischenWeltenSchreiben: Literaturen ohne festen Wohnsitz. Berlin: Kadmos 2005. This book, which due to Lefebvre’s characteristically “erratic” writing style should be read in its original French version, marked the spatial turn and provided its most extensive, rich and inspiring conceptualisation. Incorporating the socio-historical experiences and writings of the 1950es and 60es, his thought is here concentrated and projected towards a highly complex theorisation of city and urban life as ultimative end of human development and at the same time product of continuously interacting processes of physical/material, mental/ideological and social production of space in everyday life. 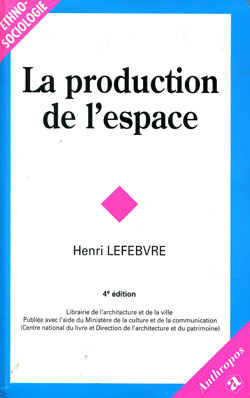 Henri Lefebvre, La production de l’espace. Paris: Anthropos 1999. Within three decades, Bangladesh’s capital city passed from a population of one million to twelve million people. 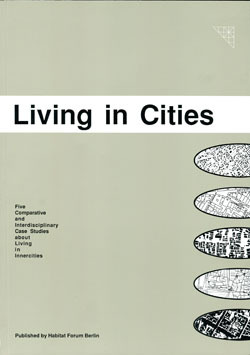 This confronts its inhabitants, observers as well as planners with contradictions that ask for redefining our ways of living in and thinking about the city. In particular, Western conceptions of public space and “urbanity”, challenged by a symptomatic fragmentation, apparently need to be overcome. 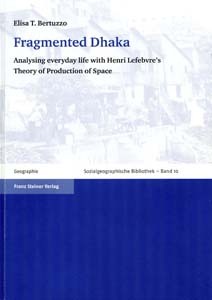 Drawing on ethnographic methods, this empirical study observes Dhaka’s spaces and situations and describes the production of enriched spaces through everyday life practices. Appropriation and adaptation processes carried out by inhabitants are hereby showed to provide, in certain cases, hints for sustainable mixed forms of urban development via-à-vis lacking or bad administration. For the first time, Henri Lefebvre’s theory of production of space is applied with all of its implications to an empirical study. City and urbanity emerge then as the result of three continuously interacting and interdependent space production processes: physical, mental and social. Elisa T. Bertuzzo, Fragmented Dhaka. Analysing everyday life with Henri Lefebvre’s theory of production of space. Stuttgart: Franz Steiner Verlag 2009.